As I sit here, writing, it’s fifteen degrees outside, with sharp powdery snow being blown hither and yon. 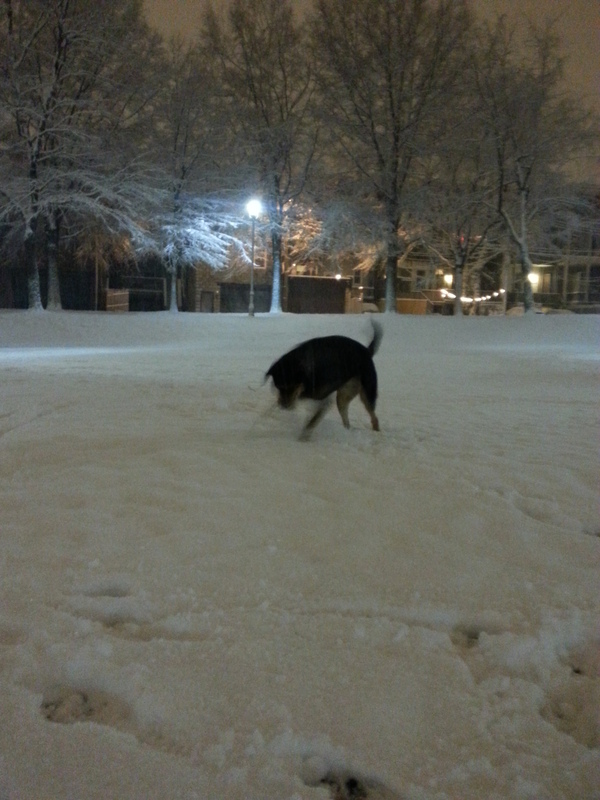 Zada (my long suffering, well traveled dog) thinks it’s all great fun, but I can’t wait to be back in the tropics! The holidays have passed, and now it’s time to hit the grindstone again, so as to be suitably prepared when February 28th rolls around. Yes, that’s the official date! There’s only so much that I can do on the building and planting side of things from afar, so I’ve been throwing myself at sourdough bread experimentation (and perfection) in preparation for putting to use the wood-fired bread oven that’s already halfway to completion; Mandy’s “little” holiday project. 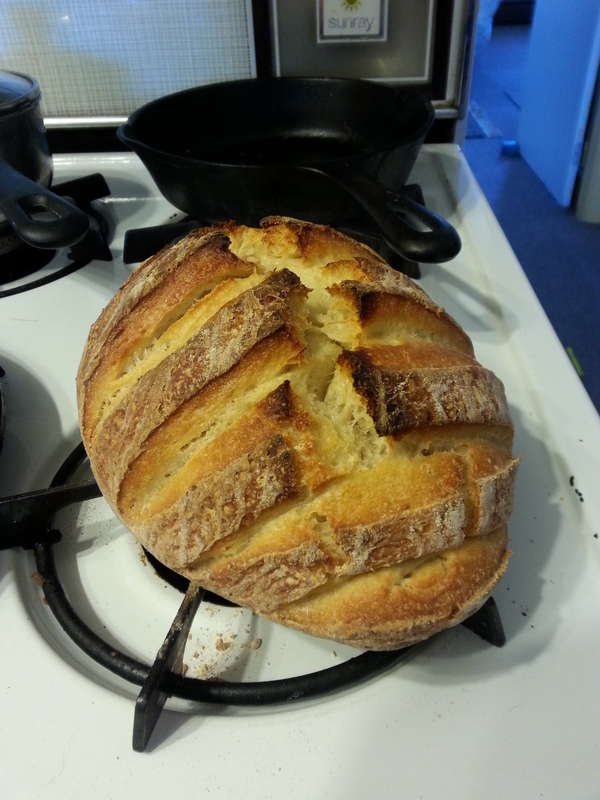 My idea of “perfect” sourdough bread is a loaf with a firm, crunchy crust on all sides, and a soft yet stable, bubbly interior; not damp, but not dry. 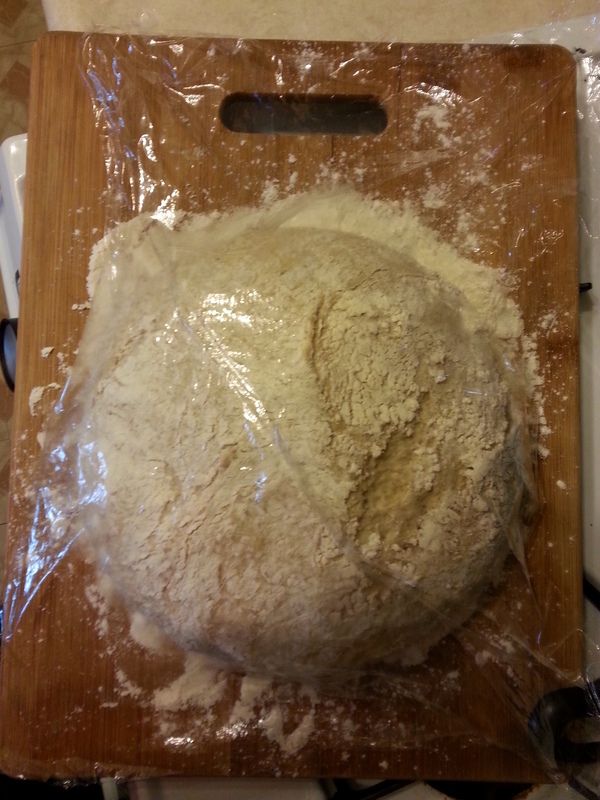 It should have just the lightest dusting of flour on the crust, and should be well shaped, not saggy and flattened. 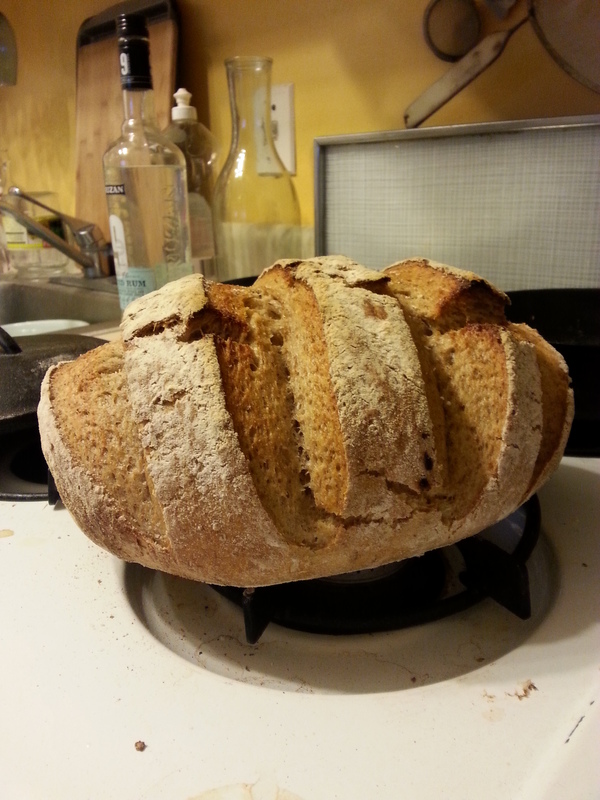 I feel that I have achieved such results, in both white, wheat, and rye combinations. White is the most light and has the largest air pockets inside. Wheat and rye tend to be slightly more dense, with smaller, evenly sized and spaced air pockets throughout, easily sliced for lovely, light yet cohesive sandwiches. Sourdough lends a special flavour to the bread, a rich, earthy fullness, accentuating the natural taste of the grains. The aroma, as it rises, as it bakes, and when cooled and cut is mouth watering, and akin to no other. To the left, a loaf of Rye, to the right, a loaf of white. I’ve been baking bread for as long as I can remember; wholewheat, white, seeded, focaccia, sweet bread, salty bread, seasonal bread, bread with herbs, bread with spices, bread with meat inside, bread as pizza dough, you name it. However, it was always yeast bread. Quick, easy, and reliable, with new, fresh ingredients every time. So when, last summer, a new friend of mine started bubbling on about sourdough and offered me a starter, how could I possibly refuse? 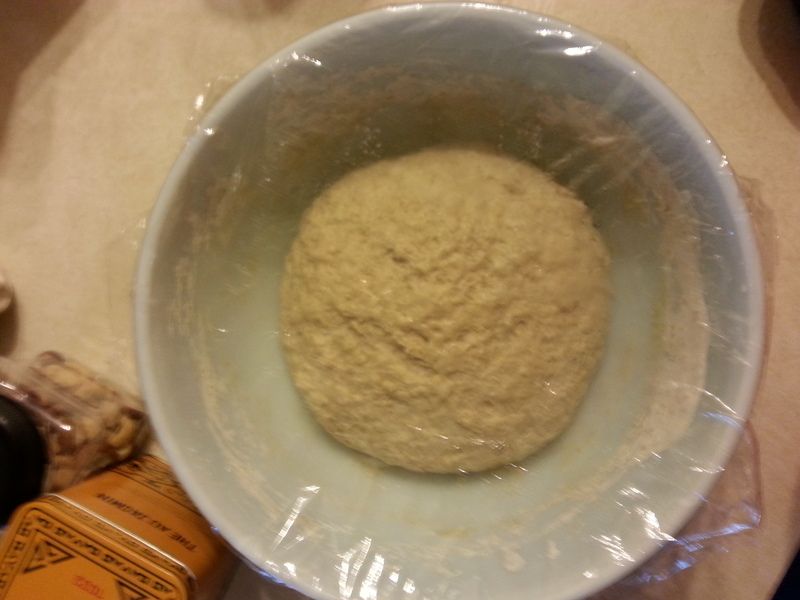 Sourdough and I had a rocky start. My first few attempts were quite brick-like, and I neglected the starter in the back of the fridge for a month or two. Baking bread for a household of one seemed like a waste, turning on the oven for an hour left my apartment at 100 degrees, and so the excuses went on. But then, summer passed, it was cooler, and I had more time at home as the outdoors become less appealing to my coldblooded nature. So, I started reading, blog upon article upon blog, pages and pages, each and every person praising a completely different technique. It turns out that many of the techniques work just fine, but I settled to one, which suits my general schedule, and which I can adapt depending on what type of flour I’m using, and what my schedule over that 24-36hour period is going to be. 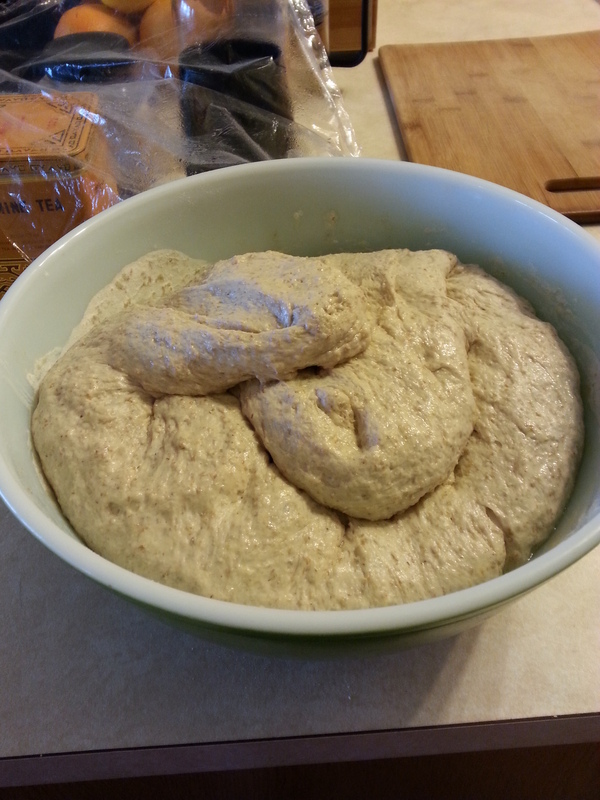 The Rise, the Fold, the Shaped Rise, and the finished loaf. 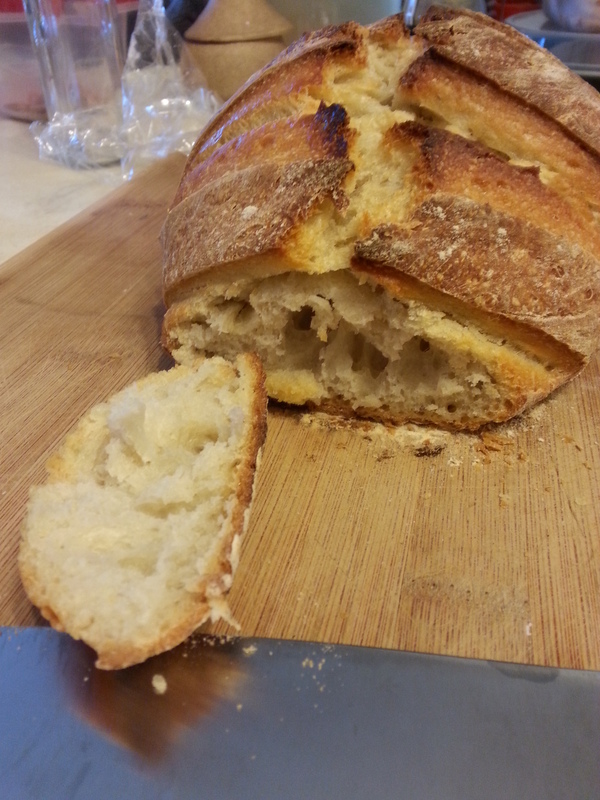 All in all, sourdough is a tricky beasty, but completely worth the effort! 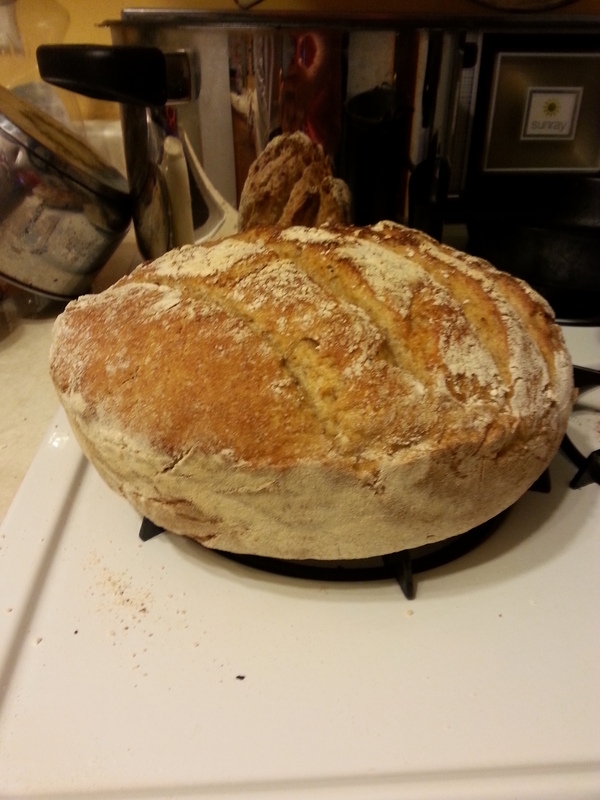 I can’t wait to be able to bake it in a “real” bread oven, though my current method of a cast-iron Dutch Oven to trap the steam does work extremely well. That’s it for now, but check back soon for a complete outline of the sourdough process, and hopefully some photos of the bread oven construction! Fabulous! Standing orders will certainly be possible once we’re up and running! Looking forward to seeing you.